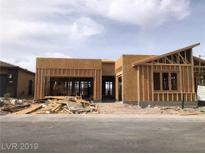 Find Silverado Ranch, NV New Homes for sale. View Photos, Maps and MLS Data Now! Canyons - Kitchen Aid Appliances, Quartz Counters, Luxury Bath Package and more! MLS#2086070. New Home Resource. Canyons - 4-car garage and an extension in the rear of the house for even more space. Quartz counter-tops throughout. MLS#2086016. New Home Resource. Canyons - This home is part of Lennar’s signature Everything’s Included program that features green technology, home automation and much more! MLS#2085819. Lennar Sales Corp.
Canyons - This home is part of Lennar’s signature Everything’s Included program that features green technology, home automation and much more! MLS#2081527. Lennar Sales Corp.
Canyons - This home is part of Lennar’s signature Everything’s Included program that features green technology, home automation and much more! MLS#2081531. Lennar Sales Corp.
Canyons - 8' doors and beautiful two-tone paint. This one is a must-see! MLS#2067715. New Home Resource. Canyons - This home includes Lennar's "Everything's Included" features such as Stainless Steel Kitchen Appliances, Lennar Home Automation, USB Outlets at kitchen & master, and much more! MLS#2065560. Lennar Sales Corp.
Canyons - The loft even includes a balcony! MLS#2063417. New Door Residential. Canyons - Huge Master shower with luxurious tile surround. Master closet and pantry extended! 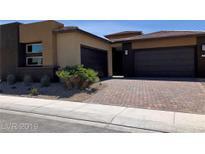 MLS#2062744. New Home Resource. 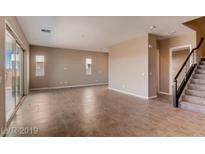 Canyons - This Gorgeous Home features an Open Floorplan~Spacious Bedroom and on-suite down stairs~ Up graded cabinets~ SS Stair railings~ 72" refrigerator~ Ice Maker~ Upgraded flooring through out~ Smart Home (WIFI certified) Cat 6~ $80k in upgrades included~ Oversized covered patio~ Balcony MLS#2041437. Lennar Sales Corp.
Canyons - White Cabinets, Upgraded Countertops, Upgraded Flooring, And Tile Work Throughout. This Home Won'T Last! 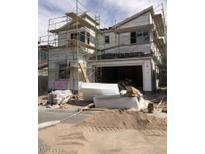 MLS#2040786. New Home Resource.